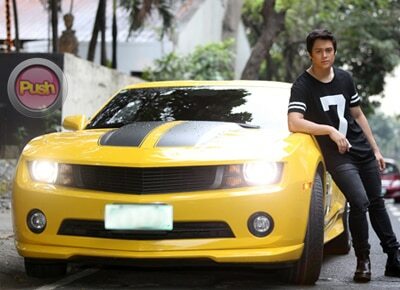 Enrique Gil says that he shares love advice with his older brother Javy. When it comes to the love life of his older brother Javy, Enrique Gil said that he really shares his advice. "I'm the love doctor," Enrique remarked in an interview with StarStudio magazine. This was affirmed by Javy who said, "Lagi niya akong tinutulungan about girls. He advises me kung ano ang dapat kung gawin, para siyang counselor eh.” Apart from that, Javy added that Quen always made his past girlfriends part of the family. "Kasi sa lahat ng past girlfriends ko, he accepted them. He made them feel like part of the family," he said. Javy and Enrique have a really tight bond and they share the same passion in a lot of things. For instance, they both like cars and driving. Enrique bought his first car from his earnings which was a Dodge Nitro. Both drive the car and are big fans of it. “I wanted something I could use for taping, that I could also take kapag may lakad lang ako. 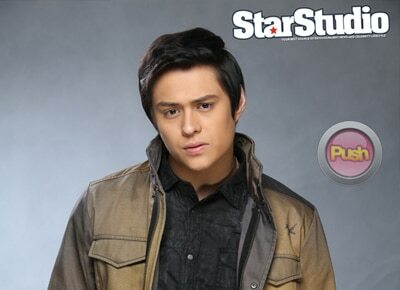 Pwedeng off-road, may baha, pang-porma, all in one,” Enrique told StarStudio. “Maganda ‘yung features niya, like ‘yung speakers, ang ganda. ‘Yung space, at feel of driving is sobrang comfortable,” Javy added. Their recent purchase was a Camaro Bumblebee, the car similar to the one in the Transformers movie. The brothers are now considering a Honda Acura NSX, the same car in the Iron Man movie. Enrique and Javy also collect basketball cards. They also share a room, collect skateboards, shoes, and caps. Read the full story about the Gil brothers in the StarStudio magazine March issue still available in newsstands nationwide.